In Beverly Hills, it’s more common to see women behind the wheel of luxury vehicles than anywhere else in the world, including at O’Gara Coach. 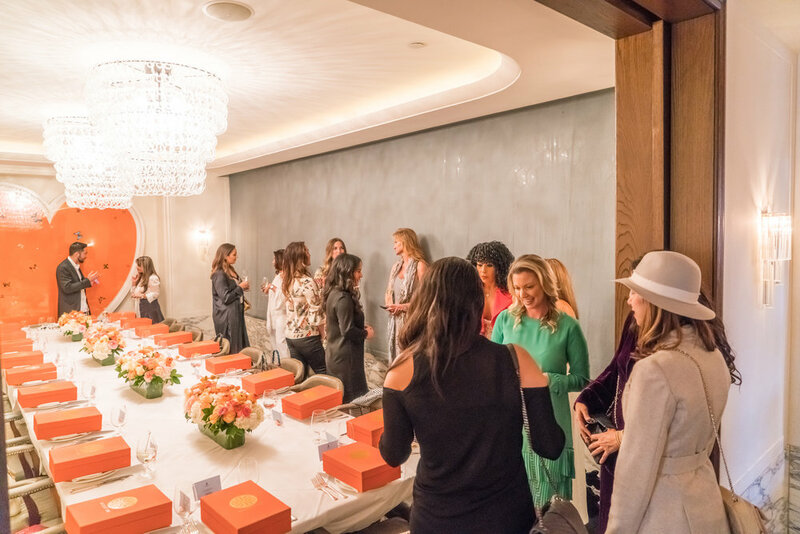 Rolls-Royce Beverly Hills Brand Manager, Jennifer Stroup, knows her teams clients better than anyone and with the help of Letizia Silvestri wanted to treat them to a day surrounded by like-minded women. Both Silvestri and Stroup have more than 10 years of success in the luxury automotive world and couldn’t have been a better pair to plan a lunch for equally successful women with impeccable taste in automobiles. An afternoon lunch at the famed Italian restaurant Cecconi’s was set, and the planning began. Silvestri started by looking at the brand, Rolls-Royce, and their Spirit of Ecstasy. The Spirit of Ecstasy has many tales of who she may really be, but what we do know is that she was the first woman to be a part of a manufacturers history; in fact for more than 100 years. This idea of femininity can be seen on the hood of every Rolls-Royce since 1920, and elegance through the lines and design of ever vehicle. The brand is also known for their ride comfort on the road. A feeling so effortless that many even refer it to the “magic carpet ride,” specifically the brands flagship vehicle, the Phantom; now on its eighth iteration. This rich history is what brought Silvestri to Cecconi’s for the women only lunch. The restaurant had a private dining room called the “Butterfly Room” that consisted of a wall sculpture of a heart filled with the creatures capable of a weightless illusion, butterflies. This along with a subtle color scheme of whites and marble was accompanied by the orange of the wall art, Tic Tock Couture Florals adorning the table, and gifts from The Bouquet Bar, is what gave the lunch a feminine warmth. But then there was the element of magic to be incorporated. The 24 women that had joined Silvestri and Stroup for the afternoon get to experience the joy and magic of being behind the wheel of their Rolls-Royce every single day. This was the inspiration behind inviting Italian mentalist, Gianluca Liguori. 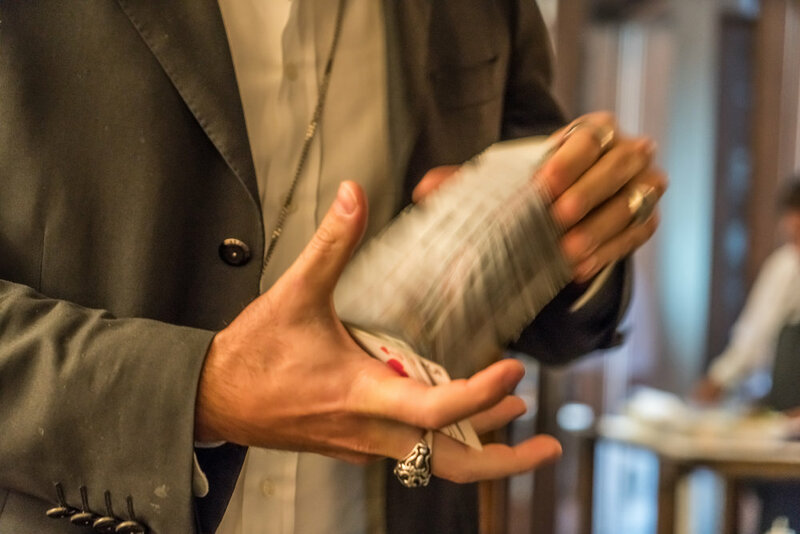 What group of women would mind being mesmerized by the charm of an Italian magician within an Italian restaurant? While on the topic of restaurant the meal consisted of family style serving. This method of serving was incorporated to continue that feeling of warmth that many associate with time spent with family over dinner. This also gave guests the opportunity to get to know one another through the passing of food around the table. The menu itself, curated by Silvestri along with the chef at Cecconi’s consisted of grilled octopus with lemon, capers & olives, a risotto with goat cheese and squash blossom, organic salmon, caponata & aged balsamic, chicken paillard with wild arugula, artichoke, pistachio, and dessert consisted of a selection of petit fours. Between every course the women were again visited by mentalist, Gianluca Liguori with his grand finale accompanying dessert. As the lunch commenced each lady left with a Bouquet Bar gift box in hand consisting of candies, chocolate, tea, flowers, and other savory snacks, and walked away to their Rolls-Royce in their designer heels. The final touch Silvestri didn’t even have to ask for, and the perfect close to an event designed for women behind the wheel of a Rolls-Royce.